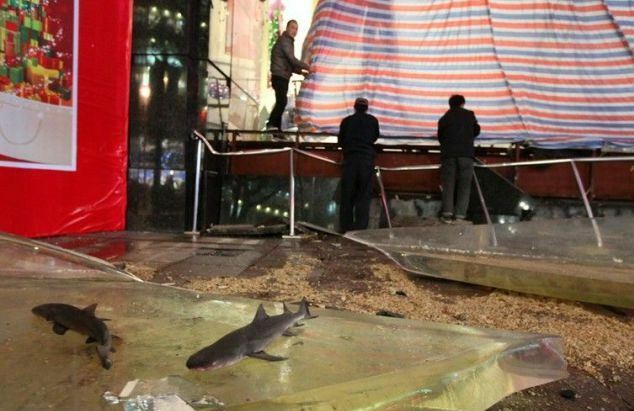 This is the shocking moment a 33-ton glass shark tank suddenly burst leaving 15 people injured by flying shards of broken glass and a torrent of water. 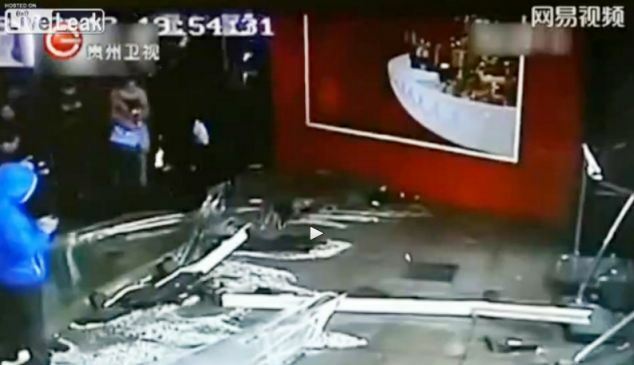 The tank was an attraction at the entrance to the Shanghai Orient shopping centre in China’s second largest city when it shattered without warning on December 19. 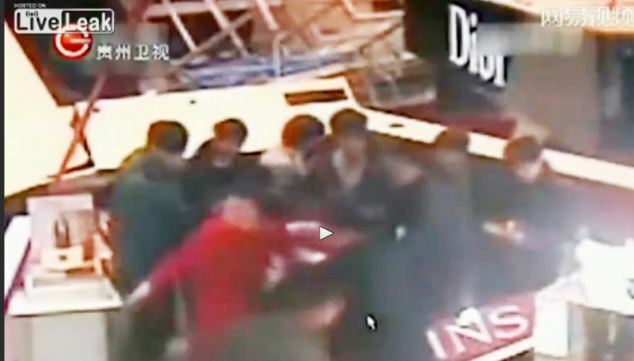 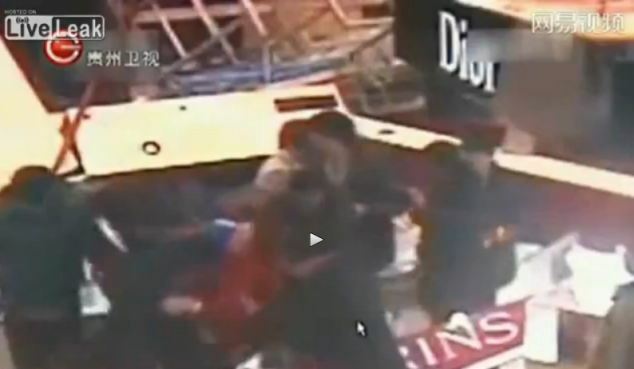 Eight of those hurt were customers and the rest were shop assistants and security staff. 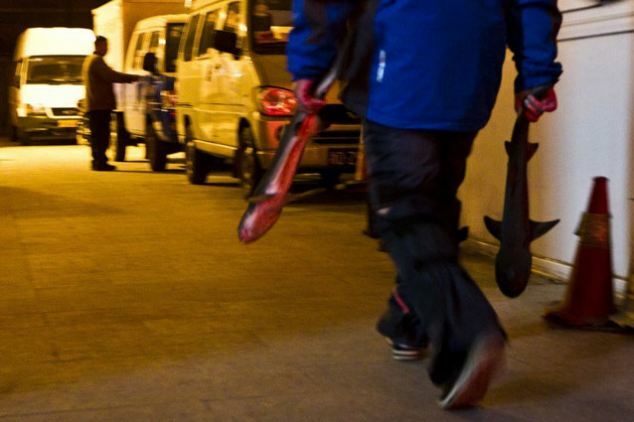 They mostly suffered deep cuts and bruises from sheets of broken glass. 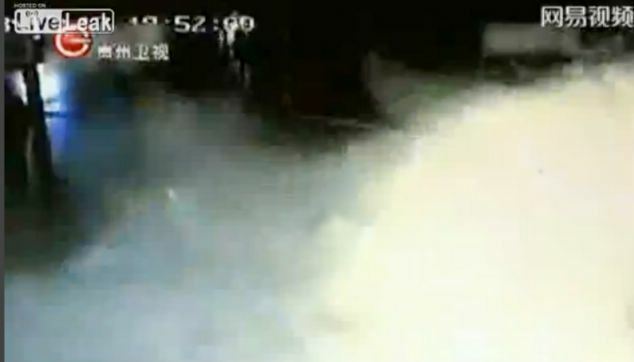 Three lemon sharks and dozens of turtles and smaller fish, which were housed in the aquarium, were also victims of the accident that was caught on CCTV. 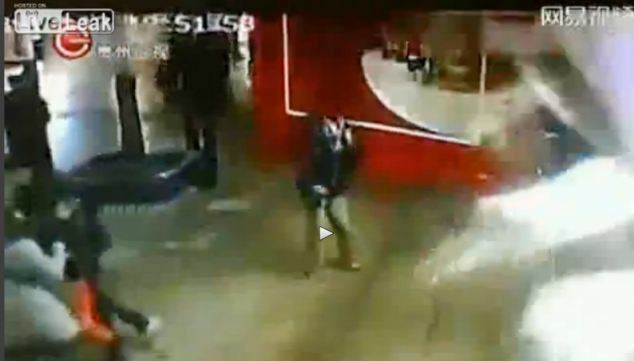 In the footage below, it is possible to see that the majority of the people were standing right near the aquarium when it exploded. 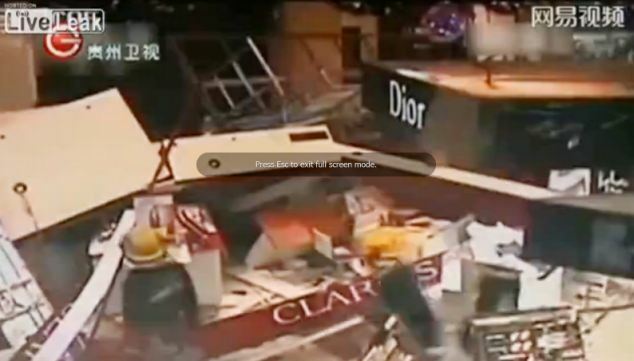 Shoppers fled in panic as shards of 15cm thick acrylic glass gave way, flooding the entrance of the shopping centre. 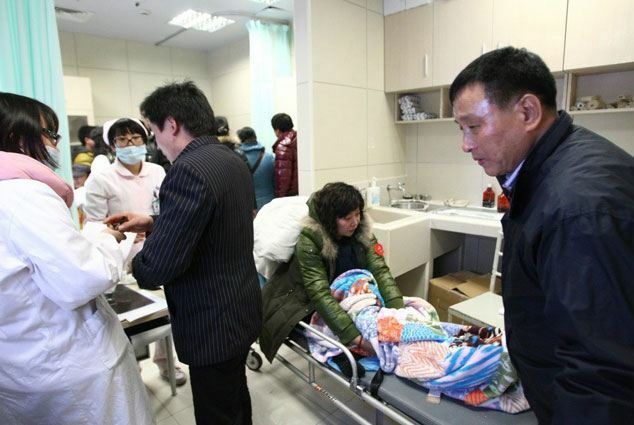 While no official reason has been given for the accident, customers said that they believe a sudden drop in temperature may have caused the burst, as the weather apparently grew much colder in Shanghai last week. 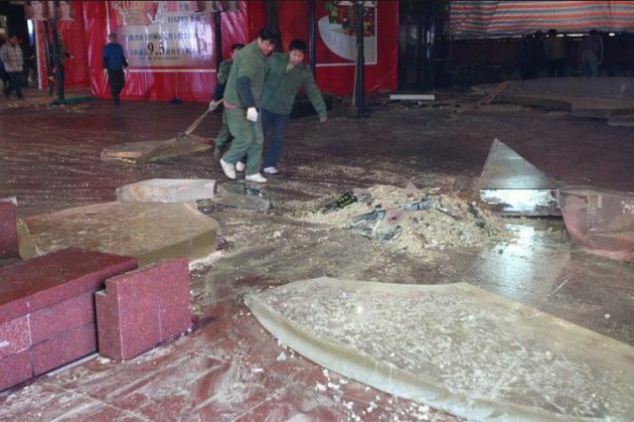 The aquarium was reportedly very popular when it first opened before the National Day holiday two years ago, but there have been problems with the tank before, as in June a ruptured water pipe led to the death of two sharks and the removal of several turtles. 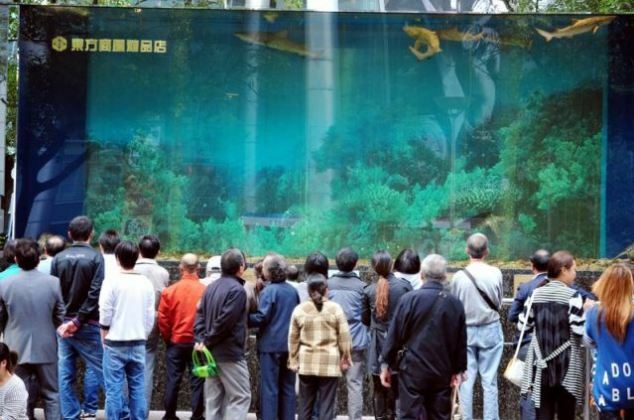 Chen Yongping, an official with the shopping centre management, said that they are not going to ‘build an aquarium again in the future’.